There is a new board game on the market. 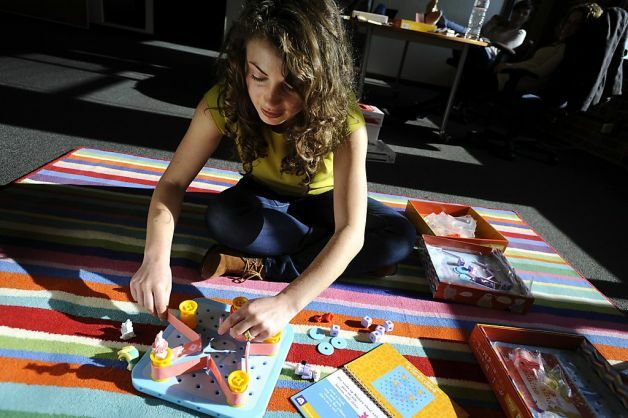 It is called GoldieBlox – a building set for girls aimed to inspire “future female engineers”. 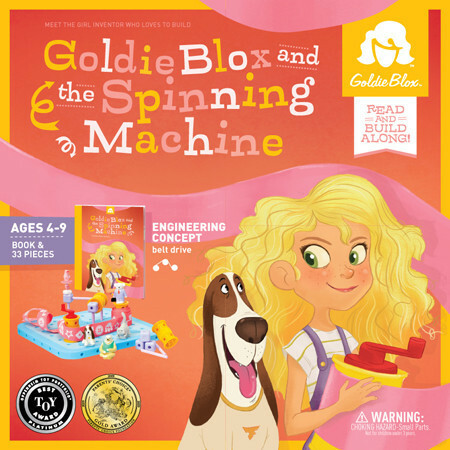 Game developer Debbie Sterling designed GoldieBlox to combine young girls’ love of reading and characters with the engineering themes of toys typically (?) more popular with boys, like Lego and construction sets. It nearly doubled its Kickstarter goal in 2012. Now the GoldieBlox company is one of four finalists angling for a free Super Bowl ad paid for by Intuit as part of a small-business contest. 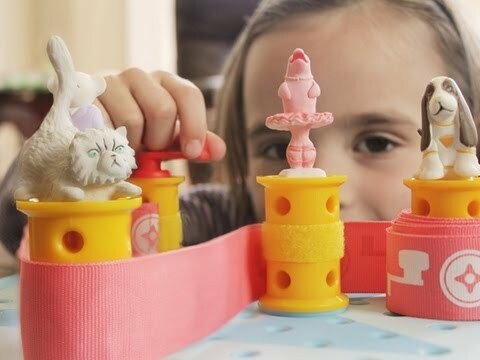 As engineering and maths are traditionally considered a male dominion, the makers of GoldieBlox say they want to change the equation. They have designed a construction toy from the “female perspective”, to disrupt the “pink aisle”. The creators of the game claim that they are helping to level the girl versus boy playing field in every sense of the phrase. The “story + construction set” bolsters confidence in spatial skills while giving young inventors the tools they need to build and create. There are many toys and games which are beyond gender stereotypes. Think of Lego, contemporary video games Skylanders and Minecraft, most Playmobil sets, train sets, classic teddies, the toddler cubes on a pull-along tray, YoYo’s, the treehouse, the humble ball, to name just a few as the list is endless. These are enjoyed by boys and girls, and even by women and men alike. But GoldieBlox is a game just for girls. Judging by the contents, themes and colours, the “female perspective” it claims must be a soft-coloured, “cute” ribbon-place to view the world from… And what exactly is “engineering for women”? What GoldieBox is doing to gender toy stereotypes is adding some imaginary value to the boy versus girl division. This toy division is the very source of the prejudice GoldieBlox pretends to tackle. It perpetuates the basic female gender expectations (light coloured, soft, “cute”) but places “intelligent” on top. Gender stereotyping and the consequent problems lie deep in our collective conscious. Regretfully, GoldieBlox is just powdering the face of the problem. It is definitely not digging deep, not even scratching the surface. This is not just a consideration for the actual gender status quo but a reinforcement of it. This design panders to the stereotypes, it does not question them. Why not create a construction set for girls and boys comprising all the colours, many and various characters, and some stories to go along? This game is only one small step away from the gender conscious KinderEggs which come in pink and blue and respectively have cars or dolls inside. The GoldieBlox set proudly rebukes all boys´ interest. It is designed for girls as girls are presumably the underestimated and inherently disadvantaged half of the child population it aims to enlighten. GoldieBlox is patronizing and limiting and the video spot is the only good thing about it. 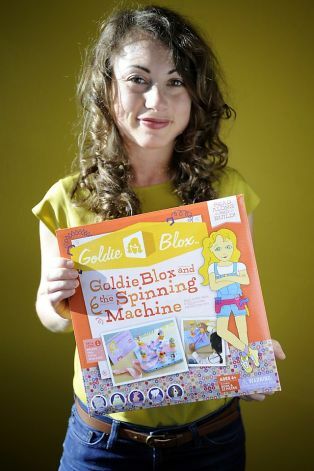 GoldieBlox will have market success. It perfectly fits and answers the learnt consumer reflex: it is a gender conscious toy with a small novelty twist.